How better to celebrate Wombat Day (October 22) than with realistic, detailed party favors of the creature made of chocolate? Apparently the folks in Australia enjoy chocolate wombats and as well as bilbys for their versions of the more common chocolate Easter bunny. 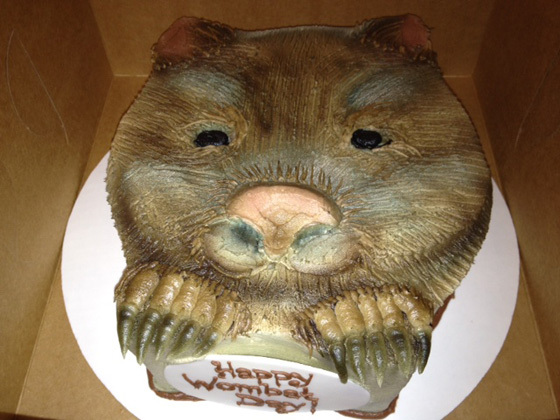 Still, if you want to celebrate Wombat Day in the proper traditional manner, that calls for a Wombat Cake. For the benefit of people like me who hadn’t the faintest idea what an actual wombat really looks like, allow me to provide you with a glimpse of the adorable critter au naturel. Which animal would you like to see modeled in chocolate?